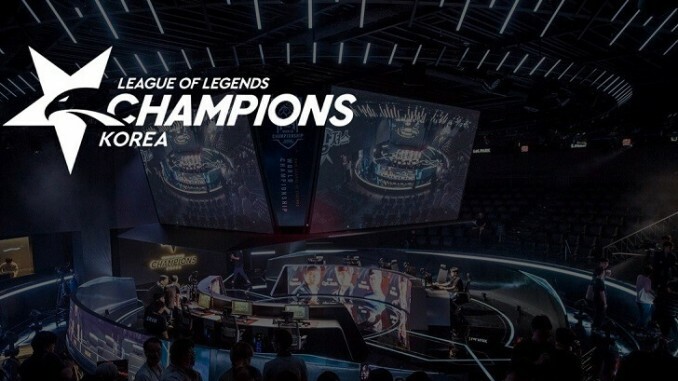 Play-off seeding and relegation will be the issues at stake during the final week of the regular Spring season in the League of Legends Champions Korea. SK telecom T1 are in the driver’s seat in terms of the second seeding (Griffin have already nailed down top spot) being a half game up on both KING-ZONE DragonX and SANDBOX Gaming. They also have a light schedule to close out their campaign. SKT’s matches this week are against two of the bottom three. Jin Air Green Wings are already locked in the relegation zone and Afreeca Freecs could join them – they are currently just a half game ahead of kt Rolster in the battle to avoid the other drop spot. SKT have surged during the second half of the season after fixing their draft problems and the team is now, thanks to the wealth of experience on the roster, arguably the most dangerous in the league alongside Griffin. Every single member of SKT has the ability to carry a game through, and a carry-orientated Top-lane meta has continued to suit Khan. Faker remains the ultimate X-factor given his astronomical skill ceiling, with SKT looking prepped and ready to make noise in the play-offs. Dafabet make victory over Jin Air all but certain – SKT are rated 1.022 shots for victory with Jin Air a massive 14.420 for the upset. Despite their struggles all season long, kt Rolster still have control of their own destiny entering the final week of the regular season. They currently sit in the second and final relegation slot. However, they have a better map differential than the Afreeca Freecs, who sit a half-game ahead of them, so two clean series would allow kt to avoid relegation. Given their performance levels, that does seem unlikely, but the one thing going for kt Rolster is that they face off against two teams with nothing to play for in Hanwha Life Esports and DAMWON Gaming, who are locked into sixth and fifth respectively. It remains difficult to comprehend that a team with Smeb, Score and Bdd can be in a fight for their lives in the LCK, but that is what they are facing. kt play in the final game of the entire regular season and that could well end up being the match that decides which team completes the relegation picture. The other team most likely to stumble into relegation are the aforementioned Afreeca Freecs, who, while up a half game, must play against SKT, who will likely be in a scenario where a win gives them the number two seeding. Afreeca are another team with stars who have continued to falter this year, although they have also continued to omit Ucal which seems a bizarre decision from the outside. Afreeca have generally been better than kt during the season, beating them in week seven and then shocking Griffin in week eight. Kiin remains one of the best players in the world, especially in terms of Top-laners, but a match-up against SKT is certainly a difficult one to swallow for this squad. The other team still in the relegation picture are Gen.G, although it seems unlikely they will slip into the bottom two. They are a half-game ahead of Afreeca and also have a substantially better game differential. Out of all the possible relegation teams, Gen.G have shown the highest highs of late, with an all-in focus on Ruler continuing to pay off. Ruler remains essentially the only star player on this roster and given his willingness to play risky-yet-strong champions in any situation, his confidence is something Gen.G can look to ride with. Gen.G do have a tough schedule in week 10 with two play-off teams to face in DAMWON and SANDBOX. They are 2.600 to beat DAMWON (1.507). The clash with SANDBOX (and indeed other week 10 matches) will be priced up once others have been played and more is known about what will be at stake.